Information that I consider to be important for entrepreneurs in western countries I feel I must share, especially since mainstream media seems to be operating from a perspective that allows little room for journalists that sincerely attempt to inform the public in an adequate way that reflects events as they occurred in reality. The crisis has not taken place unnoticed. Companies and private individuals are experiencing an increasing measure of problems that seem to intensify at an alarming pace. Although the human mind is designed to cling to hope even if odds are not favorable at all, the often heard assumption that the crisis will pass is not quite founded on reliable information. Just the fact alone that governments and organizations of the monetary system always seem to rush to assist banks that are in trouble while doing little or nothing to help the common citizen, should incite many who have command of their senses to question such conduct. Banks produce nothing and in that sense do not contribute to a healthy economy. Citizens and companies do that. And while conditions to qualify for a loan lately have become restricted severely, the level of actual contribution to a sound economy of banks drops far below where it was before the crisis broke out. But while western economies are in rough weather, countries belonging to the BRICS alliance are doing a lot better. 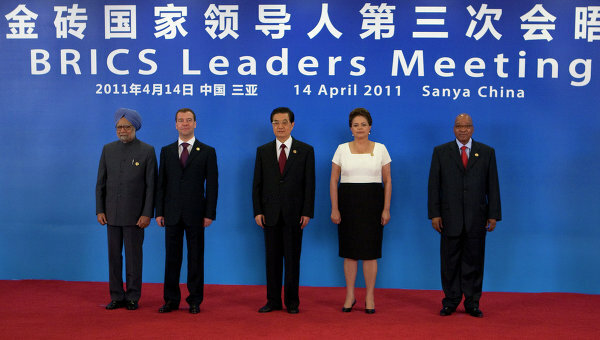 BRICS members are: Brazil, Russia, India, China and South-Africa. Western mainstream media's reporting on BRICS is unrelated to the significance of the alliance on the world stage and rather biased in favor of current monetary strategies. The BRICS combined GDP is however larger than that of the EU and will surpass that of the US in one or two years from now. But there is of course a reason why media seem reluctant to inform the public of developments concerning the BRICS alliance. In March of 2012 the alliance agreed to look into the possibilities to develop a currency of their own. This means that the influence of the World Bank and the BIS (Bank for International Settlements - the central bank of central banks) will be reduced to virtually none within the operating area of the alliance. The growing economies of the countries of the alliance will be hindered by the current policies of the powers that be. All nations that are controlled by the World Bank have economies that are dwindling. In particular the nations that collaborate in the NATO. All these 'old world' economies are bound to the policies of the World Bank that is founded on fiat currency. The BRICS nations are aware of the fact that this type of compliance will harm economies that are expanding. BRICS possesses enough collateral in the form of gold and silver to build a sound monetary system (which is probably why South-Africa was embraced by the alliance, since it has abundant gold resources). By the way: China has not put a focus on establishing relations with oil rich countries to the extent that western economies did, but rather put a focus on becoming friendly with countries that have gold resources... In addition the BRICS production facilities, resource availability and market diversity and purchase power makes the alliance self supporting and independent of others. The abandoning of the gold standard as formerly regulated by the Bretton Woods monetary management system by western countries, was the starting signal of unbounded production of fiat currency. A dollar since that time was basically worth what any fool was prepared to pay for it... A sound monetary system has to be founded on valuable assets in order to be sustainable. Fiat money is nothing but paper and having millions or billions in the bank makes account holders owners of large stacks of worthless paper. The current economic disasters are undeniable proof that fiat currency is a very unreliable foundation for sustainability. The collapsing of economies that rely on fiat money has of course not escaped the leaders of the BRICS nations. It is the reason why they have agreed to revise their monetary strategy. But any strategy of a basic nature can never stand on its own; many if not all systems are related to it. 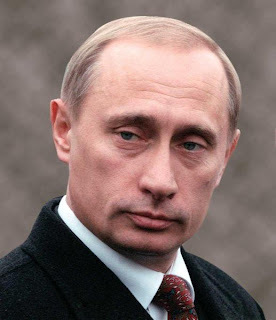 In this respect it is interesting to observe what Vladimir Putin's statements concerning these matters are. He not only referred to corporate business, but also remarked that resolving the world's poverty problem (First BRICS Summit Joint Statement, point 6) and improving security are imperative to keep economies healthy. His words conflict with the policies of western nations that direct their help to banks exclusively while demanding their citizens to pay more taxes to finance their rescue operations of monetary institutions. It apparently has dawned on some leaders in the political arena that society does not only needs to bid fare well to the focus on the monetary system, while too little none at all is directed to other segments of society. People that lack all kinds of basic needs will not be able to be productive. The impending clash between the old world economies and the BRICS alliance is therefore basically a conflict of leadership vision. Why have I written this article? Business owners and entrepreneurs should probably keep these matters that are deliberately omitted by mainstream western media in the back of their minds while they design strategies, consider obtaining loans (especially where to get them) or aim to gain insight to determine their operation. And, by the way, so perhaps should those in power, that are smart enough to decipher the tokens on the wall.